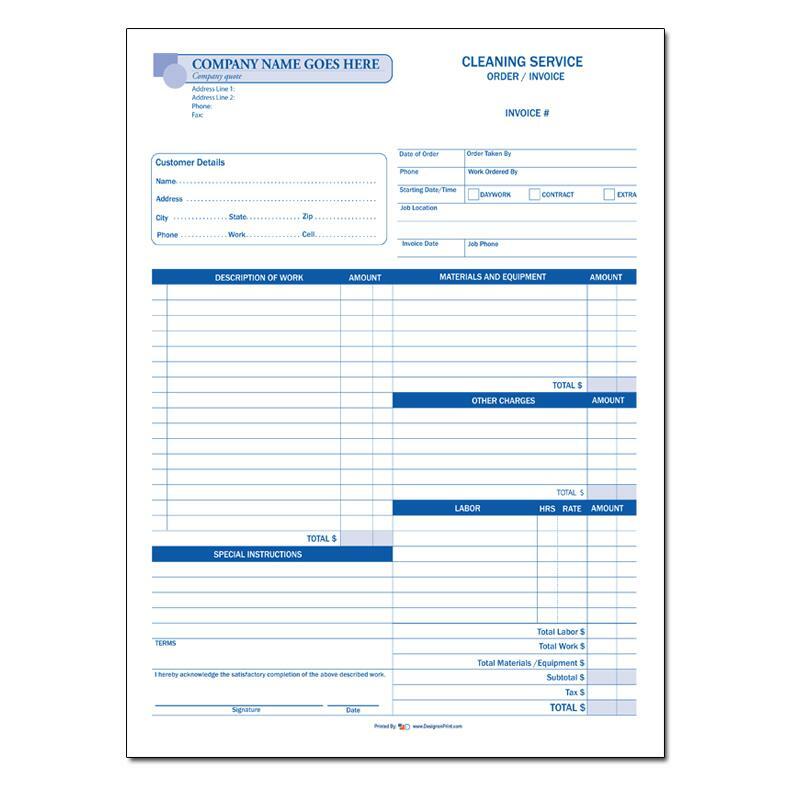 We print proposals for cleaning services including banks, hotels, offices, gyms, schools, shopping malls, apartments, restaurants, and more. This is a general format that can be used with any of these types of businesses. 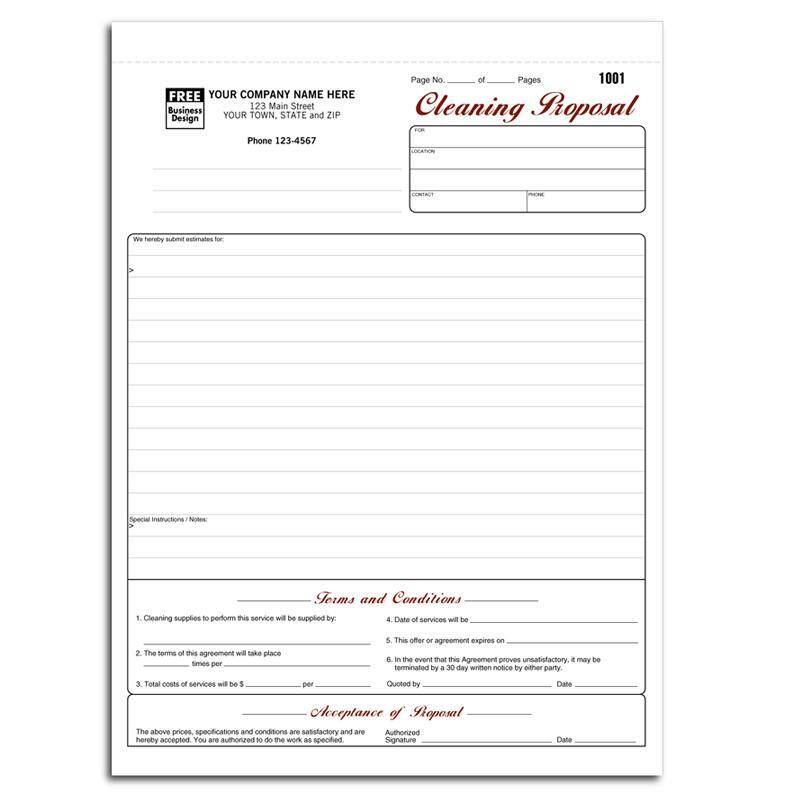 The carbonless form makes carbon copying each page very easy and provide multiple copies for you and your customers. You can also upload your own unique design for printing. This proposal can be used by both residential and commercial cleaning services. 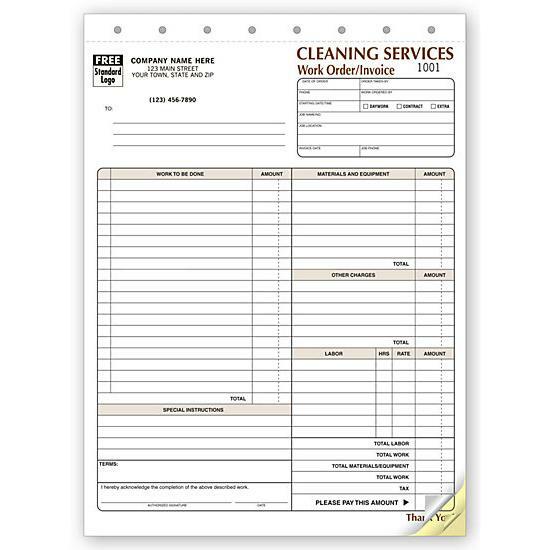 It is used for house cleaning, janitorial services, maids services, etc. 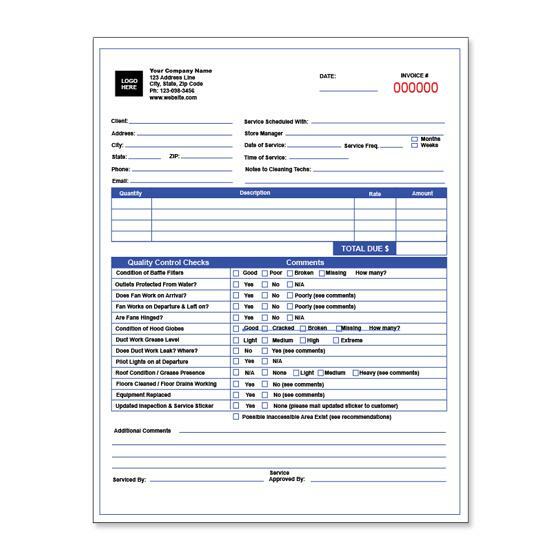 Instead of writing a letter everytime you want to make a bid on a job, this form is already pre-printed and only require you to write in the relevant information. It will help you save time and money.